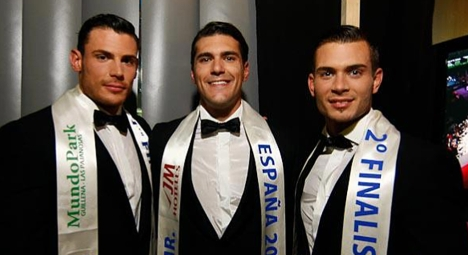 23 year old Diego Otero Tellez from Toledo was announced as the new Mister Spain 2011 or locally known as Mister Espana 2011 held at the Palacio de los Suenos in Seville. Bartolome Marquez Mora was the 1st run-up and Nestor Acosta Arencibia was the 2nd run-up. The other finalists were Zaragoza, Ismael Gomez (4th place), Sevilla, Rafael Fernandez (5th), and Barcelona, Gerard Espinoza (6th). Top 12: Gipuzkoa, Girona, La Rioja, Madrid, Malaga, Pontevedra. Top 20: Albacete, Araba, Caceres, Guadalajara, Lugo, Murcia, Soria and Valladolid.